Notes: With the potentially impending doom of Brexit (or joyous celebration – depending on your way of looking at the world) on the way, we thought that it would be fun to host a night of whisky taken from around the British Isles. Expect to drink Scottish, English, Welsh and Irish whiskies that will hopefully surprise, delight and change your opinions of British whisky. We will search for the common threads that feature in all the whiskies, whilst exploring the glorious differences that each countries’ expressions have to offer. Will you be able to tell them apart? Which will be your favourite? Will you even be able to attend the event in the post Brexit apocalypse? I would love some tickets, make it so! Host: Billy Abbott – @cowfish on Twitter. We are lucky to welcome the walking whisky encyclopaedia that is Billy Abbott to Bristol for February’s tasting. He is a veteran of the UK whisky scene, who works for The Whisky Exchange, tasting, talking and writing about whisky on a pretty much 24/7 basis. 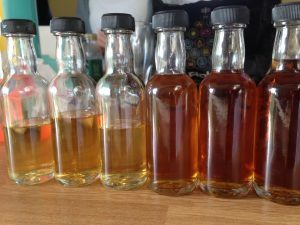 He will be bringing with him six whiskies that highlight the incredible range of flavours that come from the three simple ingredients that are put together to create whisky. The whisky on show will be taken from The Whisky Exchange’s exclusive collection. These fine spirits highlight the broad range of whiskies that are available both in their amazing shops and online in their web store that boasts over 9000 whiskies and fine spirits from all around the world! He will be hand selecting seven whiskies from his vast whisky collection to help us explore the subject of maturation. As is standard for our tasting sessions, all the whiskies will be tasted blind, so that we can experience the spirit unhindered by preconception and personal bias. Through tasting the whiskies we will be exploring the effect of cask type, age of the whisky and initial spirit character. This promises to be a great session, so pick up your tickets ASAP. 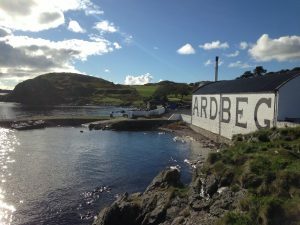 Notes: Rob’s love for whisky started with an island whisky and his passion blossomed when he found the peaty, salty malts of the island of Islay. For this evening, Rob will be selecting whiskies that show the diverse nature of whisky produced on the island. Prepare to be suprised at the variety of styles and delighted by the quality. Notes: Chris gets very excited about Christmas, so in November we will be preparing your tastebuds for the festive season unspeakably early with this sherried whisky session. Expect a range of sweet, fruity, nutty numbers and the chance to hear about the ageing process of whisky. Notes: This is our first evening tasting event and it is going to be a really special one. Jason, one of our organising team will be dipping into his amazing collection of whisky to treat us to some special Speyside whisky treats. 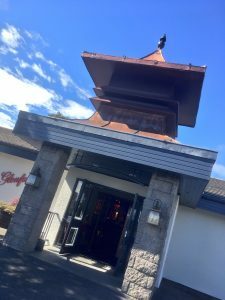 For those of you that don’t know, Speyside is a relatively small area of North East Scotland located around the River Spey in Moray, Badenoch and Strathspey. Despite it’s diminutive size, it is home to over half of all the distilleries in Scotland. It is famed for creating a specific style of whiskies, which are light and grassy or sweet and rich depending on the cask type that they are finished in.